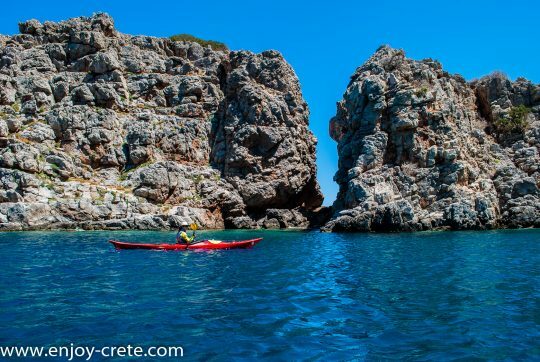 Located in the heart of Merabelo bay, the biggest in Crete, it is a great kayaking journey suitable for experienced paddlers only. 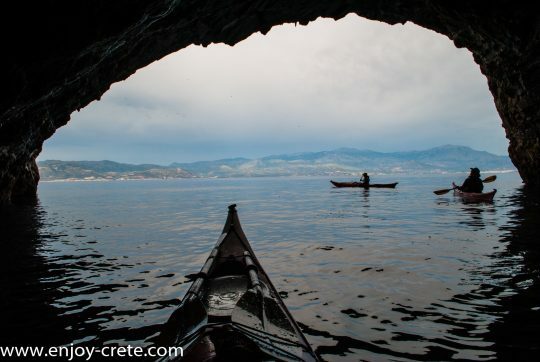 With a short open crossing to Pseira island (3.2 km) and an amazing coastline to paddle afterwards. 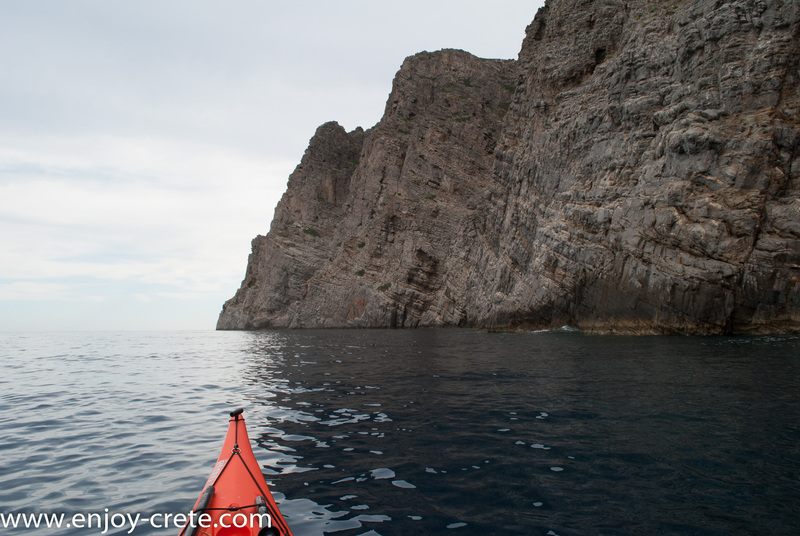 The trip starts from Tholos bay which is located at the end of the shortest part of north to south Crete (just 12km). This makes unique the area in terms of wind. It is common to have strong wind coming from completely different direction every few km so good skills in trimming the boat is essential. 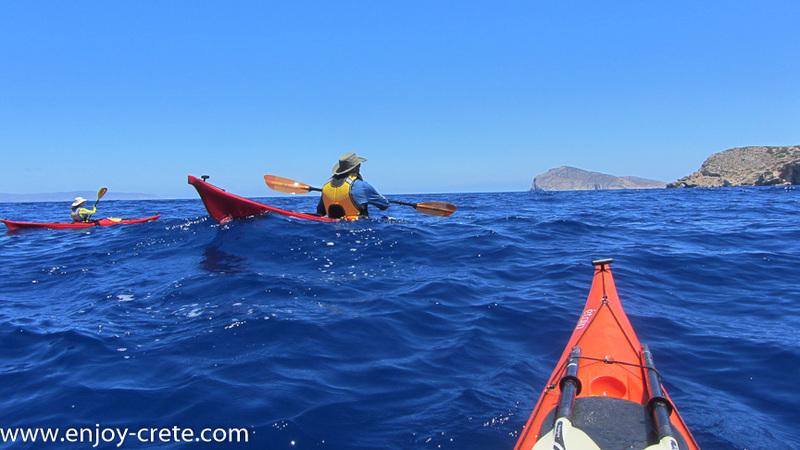 A must trip is you are staying in eastern Crete and your paddling skills are up to 3* or higher (check this article for the syllabus of 3* if you are not familiar with the British Canoeing qualifications). 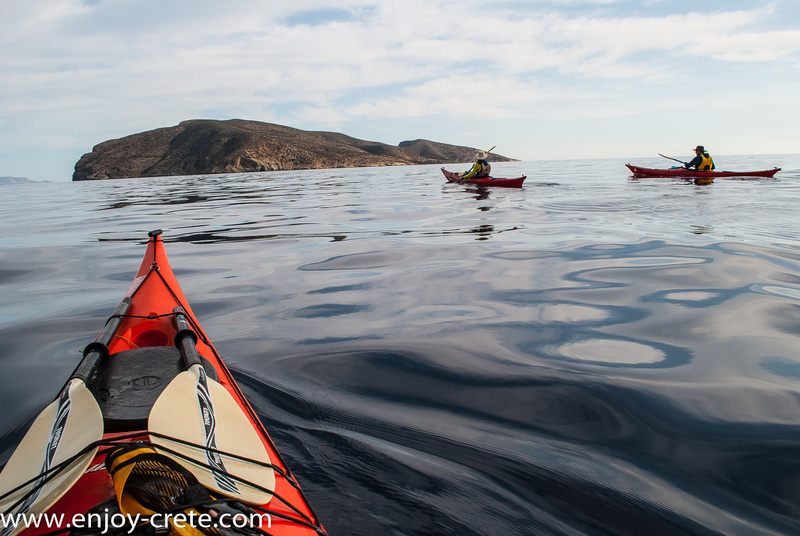 The island has a long history, in brief Pseira was explored in 1906–07 and more minutely examined in 1984–92 by Philip P. Betancourt and Costis Davaras. Archaeological materials in this seaport, sited above its harbour, to which it was connected by cliff side stairs, span the period from the end of the Neolithic in the 4th millennium to the Late Bronze Age, with the cultural high point being Early Minoan to Late Minoan IB. At that time the prosperous town of some 60 buildings was ranged round its open square, with a single large building that occupied one side. 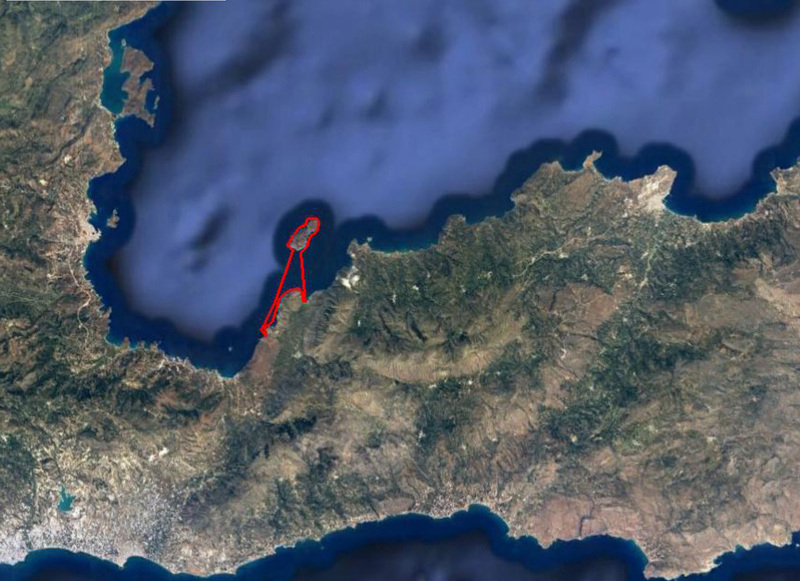 Like many contemporary Late Minoan IB sites, it was violently destroyed, ca 1550–1450 BC. You can read much more about its history in the relative Wikipedia link. We will make a stop for swimming and snorkelling during our trip to the crystal clear water of the island. You need to pack your lunch as we wont find anything during the trip. Other than that you will need 1.5lt of water (ideally in small bottles),sun glasses, hat, sunscreen, swimsuit,lycra shirt or any tshirt ideally with UV protection. You will also need shoes that you do not mind getting soaked as you will get your feet wet. Ideally a light neoprene shoe will work great. Is is not required to wear shoes but they will help as the majority of the beaches are with small rocks. Check out the following link for the exact meeting point. There is lots of parking space around.